Bitcoin has been called “gold for millennials.” According to one study, 2 out of 3 millennials would prefer investing in bitcoin over gold. Of course, bitcoin isn’t just for millennials anymore. People of all ages and generations are buying bitcoin. On the one hand, you have a proven store of value that has 5,000+ years of recorded value in human civilizations. On the other hand, you have an invisible digital token launched in 2009. What’s the difference between bitcoin and gold? Which one offers the best investment? Today, we’re explaining the major differences between bitcoin versus gold as an investment. Gold is a chemical element (atomic number 79). Historically, gold has been one of the most valuable materials in the world. Gold has been prized for its use in currency and jewelry for thousands of years. Today, it’s also prized for its use in electronics like smartphones. Bitcoin, meanwhile, is a peer-to-peer virtual currency built on blockchain technology. You can store it in a digital wallet – like an app on your computer or smartphone. Or, you can use paper wallets or hard wallets to store bitcoin in a “physical” space. Both bitcoin and gold can be mined. Gold mining companies collect hundreds of tons of gold each year worldwide using methods like placer mining, hard rock mining, byproduct mining, and gold ore processing. Bitcoin mining works in a much different way. 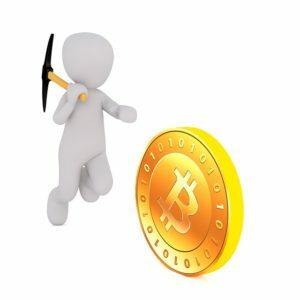 Bitcoin mining involves dedicating your computer’s processing power to the bitcoin network. Your mining rewards come in the form of transaction fees and block rewards. Every time you process a block of transactions on the bitcoin network, you receive all of the transaction fees from that block, along with a fixed block reward. There’s a fixed supply of both gold and bitcoin on our planet. We have not yet mined the total supply of bitcoin or gold. Experts estimate that there’s approximately 175,000 metric tons of gold in the world today. Meanwhile, there’s a total supply of 21 million bitcoin. As of January 2018, approximately 17 million BTC have entered circulation. Let’s say you have $10,000 in your bank account today. You’re deciding whether to invest in bitcoin or gold. On the one hand, you have gold, which has proven its value for thousands of years. The value of gold has risen consistently since the 1970s, with the price staying mostly stable for the past 10 years. On the other hand, you have bitcoin, a blockchain-based digital currency introduced in 2009. Originally priced at pennies, the price of BTC has breached all-time highs of $20,000. Bitcoin is significantly more volatile in terms of price fluctuations. Gold has historically proven itself to be a stable, growing store of value. Prior to the 1970s, the price of gold was linked to currencies like the USD. However, world governments abandoned the gold standard in the 1970s, causing the price of gold to sharply rise. The price of gold rose steadily throughout the 1970s into the 2000s. It peaked at a price of $1900 per ounce in September 2011 before settling into the $1000 to $1300 range, where is where it’s mostly remained into 2018. Bitcoin, meanwhile, has experienced dramatic fluctuations in value over time. Originally priced at just pennies, the price of bitcoin has gone through numerous surges and drops. On February 9, 2011, the bitcoin community was ecstatic when the price of BTC reached parity with the USD: 1 BTC was worth $1 USD. Bitcoin would later rise to $1200 before dropping back down to $200. On January 3, 2017, the price of bitcoin rose above $1,000 for the first time in 3 years. By the end of 2017, one bitcoin was worth $20,000. As of January 2018, bitcoin is sitting at around $11,000. Some believe bitcoin will be worth $500,000 by 2030. Others believe bitcoin will be worth $0 by this time next year. There are already new, better altcoins available with lower transaction times and cheaper fees. Bitcoin has the first mover advantage – but that advantage might not last forever. The other major thing you need to know about bitcoin versus gold is the storage conundrum. Bitcoin is surprisingly easy to store. You can store bitcoin using a piece of paper with 12 words written on it. That’s called a paper wallet. You can also store bitcoin in a “brain wallet” – which is when you memorize 12 words and keep those words stored in your “brain”. As long as you can recall those 12 words at any point in time, you can fully restore your bitcoin private key at any time using any bitcoin wallet. Alternatively, you can store bitcoin in a hard wallet – which is essentially a USB stick. You can also use a software wallet – like a mobile app or desktop software. Gold is arguably harder to store. You might need a safe in your own home, for example. Or, you might need a bank vault. Yes, bitcoin is technically “invisible”. However, you can store an incredible amount of bitcoin value on a single piece of paper or a single USB stick. As long as that piece of paper or USB stick isn’t compromised, you’ll always have your BTC. Whether you’re investing in gold, bitcoin, or companies, your most important goal is to diversify your investments. There’s no such thing as a sure thing in the investment world. Today, some millennials are comfortable investing 10% of their investment portfolio into cryptocurrencies like bitcoin and ethereum. Older investors, however, might choose an amount closer to 2%. And some investors will invest nothing at all. It’s up to you to decide whether you choose bitcoin versus gold – or a little bit of both.